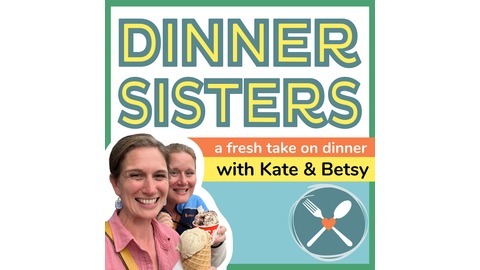 A fresh take on dinner: every week two sisters cook and review popular recipes from top food bloggers and chat about life in the kitchen. Zaitoun, our latest cookbook review, lies at a sweet spot for the Dinner Sisters. It's where you can make dinner and travel at the same time. Yasmin Khan introduces us to Palestinian flavors like tart sumac and warming allspice and new staples like thick labneh and tangy pomegranate molasses. All the while she weaves in stories about the families, cities, and politics of Palestine. This is a book to read while sipping a cup of tea, marking up the pages, only to get up and start marinating a chicken. Kate made: Chickpea and Bulgur Salad and Lamb Meatballs with Tahini. The salad was light but filling and made the perfect work lunch. Lamb Meatballs with Tahini was a bit of work to make the meatballs(kefte) but the end result was a decadent one dish main course. The kefte are baked over thinly sliced potatoes, drizzled with tahini sauce and sprinkled with pine nuts toasted in butter when done, nearly gilding the lily. 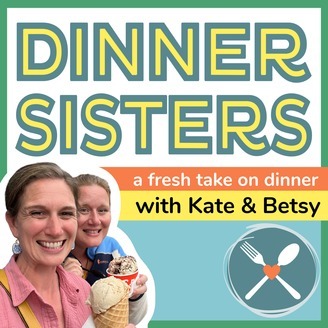 Kate joined Tara making labneh and loved it with clementine segments and honey. Tara made: Pickled Avocados, Donyana Salad, Za’atar Roast Salmon with Garlicky Bean Mash, Chickpea and Spinach Soup, and Sumac Roasted Chicken. Tara may win the most cooked award! She especially loved the Sumac Roasted Chicken for its deep flavors. The Pickled Avocados are going on her summer snack board but the sleeper hit was labneh. Kate and Tara loved Ms. Kahn’s method and her serving suggestions. While Kate went sweet, Tara went savory with olive oil and dukkah (a nut and spice mix). Either way, we can’t recommend it enough.